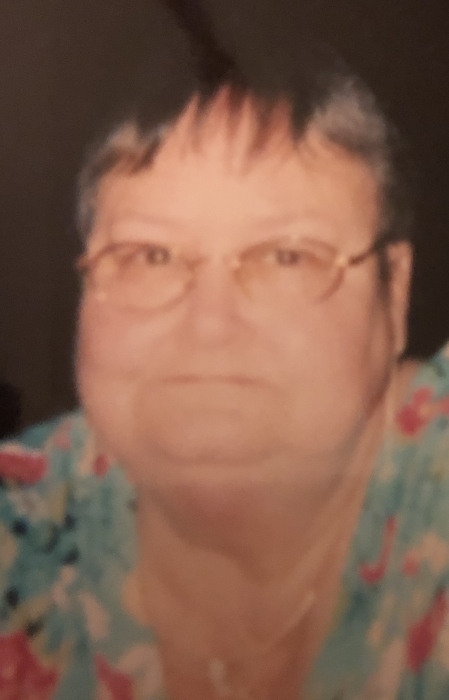 Judith “Judy” Maria Holland, 67, of Dallas, passed away on January 12, 2019 at Hospice House of Kings Mountain. She was born in Charlotte, NC, the daughter of the late Harold Bertrum Hyslop, Sr. & Sarah Carpenter Hyslop. Judy enjoyed working with flowers and always had a pretty yard. She also enjoyed cooking and baking. In addition to her parents, she was preceded in death by her husband, Howard James Holland Sr.; son, RIchard James Holland; and brother, Harry Hyslop. She is survived by her son, Howard James Holland, Jr. of Virginia; brother, Nick Hyslop and his wife Joann of Kings Mountain; sister, Cathy Jean Hyslop of New York; grandchildren, Alyssa Marie Holland of Dallas, Justin Michael Holland of New York, Christina Hyslop of Kings Mountain; and five great grandchildren. A graveside service will be held on Monday, January 21, 2019, 2:00 P.M. at Forest Lawn West Cemetery, 4601 Freedom Drive, Charlotte, NC 28208. In lieu of flowers, donations may be made to Hospice of Cleveland County c/o Kings Mountain Hospice House, 951 Wendover Heights Drive, Shelby, NC 28150.